We've been talking about HTC's next high-end smartphone, the One A9 (Hima Aero) for quite some time now. While we do have some information on the handset's specs and availability, it looks like new details emerge all the time. For example, @evleaks is back with more info on the rumored HTC One A9 and from what he reveals it looks like this will be an intermediate device despite the fact that will be launched under the One family. 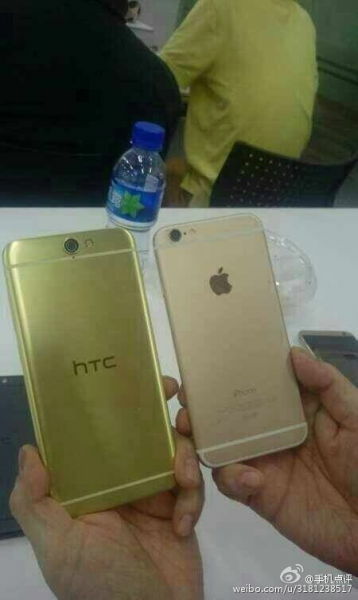 Usually, HTC launches mid-range smartphone under its own Desire brand, but this one will be released as HTC One A9 according to these rumors. We already know that the smartphone will make it the US this year where it will be offered by Sprint and possibly other major carriers in the country. While there's no word on pricing options, the high-end version of the One A9 that's been leaking until now is said to cost no more than $600 outright. Now, the mid-range version of HTC One A9, if the Taiwanese company will indeed launch multiple models, won't pack Quad HD display or MediaTek's powerful deca-core Helio X20 processor inside. Instead, the smartphone is tipped to sport a 5-inch AMOLED capacitive touchscreen display that supports full HD (1080p) resolution. Also, the One A9 is said to come equipped with an octa-core Qualcomm Snapdragon 617 processor, 2GB of RAM and 16GB of internal memory. The cited source also mentions the device will come with microSD card slot so users can further expand storage. On the back, the smartphone will pack a 13-megapixel camera with autofocus, LED flash, BSI, optical image stabilization and video recording, while in the front there will be a 4-UltraPixel selfie camera. Last but not least, HTC One A9 will be only 7mm thin, it will feature a metal body and finger print scanner. The smartphone will be available in six different color options from November.